Dr. Iftikhar, their representtive in Bangkok told the media that they had to leave Pakistan because the level of threat against them have reached to high level. 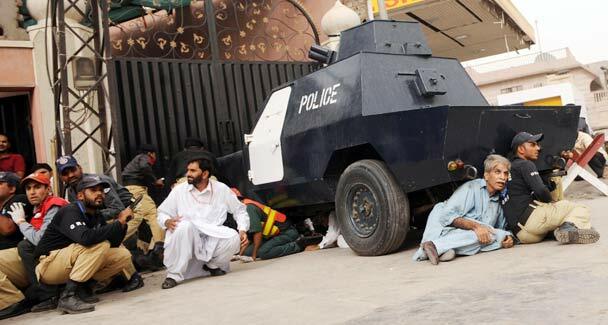 Accoridng to him, hundreds of Ahmadis have been murdered in Pakistan just because of their faith. They had to flee because posters were pasted on walls saying ‘Ahmadisdeserve to be killed.’ Such poster always incite public hatred agaisnt them. A number of laws havee been passed that make it a criminal offence for Ahmadis to profess, practice and preach their faith in Pakistan. These laws have made it a crime for members of Ahmadis community to refer to their places of worship as mosque and even bar them from extending the common muslim greetings in arabic-called Assalm-a-alaikum Ahmadi sources reported. These Ahmadis have arrived in Bangkok in search of refuge and portection from persecution in Pakistan but there also they face the similar kind of challenges of arrest and detentions. Jesuit Refugee Serivce reported on Janaury 18 that, “scaredcared and disorientated, the group, including many women and children, was bundled into police vans and driven to Bangkok’s immigration detention centre, where they were processed and sent to cour for violating Thailand’s strict immigration policy. Under Thailand’s law refugees and asylum seekers in Thailand without a valid visa regardless of whether or not they are documented by UN High Commission for Refugees (UNHCR) are considered ‘illegal entrants’ by the authorities. People who are persecuted at home and detened in Thailand are at the mercy of God, said a human rights activist in Bangkok. However, International Refugee Convention 1951 and its portocol is about portection to refugees, these people are still waiting for these laws and international community come and help them in these difficult circumstances. According to recent reports, group of Ahmedis fled from Pakistan and ended up in Thailand is waiting desperately for UNHCR’s help which can recognise them as refugees and facilitate their resettlement to a third country they are forced to live in fear and with uncertainty. Coalition of three organizations celebrated ‘Amun Deeharo’ or Peace Day on Saint Valentines’ Day. The Coalition works on different social issues and focused on peace, harmony, empowerment of women, labor rights. 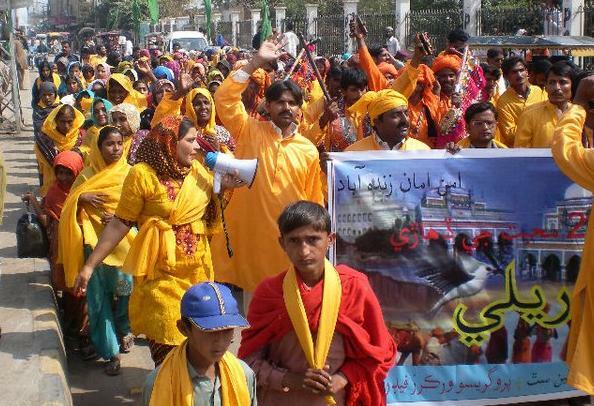 The Coalition covers the area of Mirpurkhas but is well connected with other national and international organizations support their work. The purpose of celebration of Valentine’s Day was to reject the extremism and get the message of Mystic poet Shah Abdul Latif Bhitai across the world. 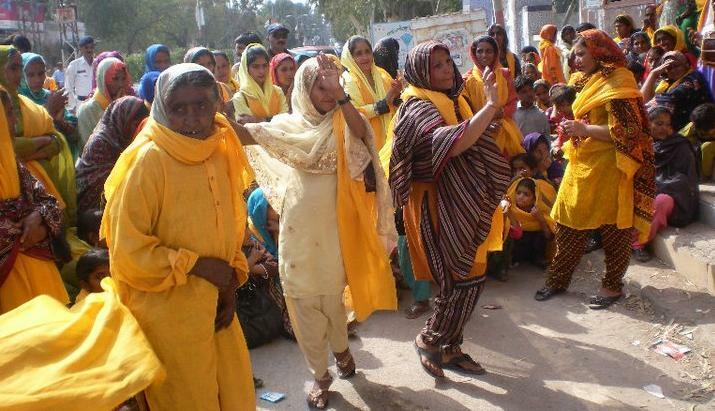 All participants of the rally were wearing yellow color scarves, bands and dresses. Peace rally started from station chowk at 11 am and reached at market chowk by passing through the post office. Number of people in the rally significantly increased when it reached to the market where a person from different walks of lives streamed into the rally as a sign of solidarity. Sundar one of the participants, sang peace song ‘Amun Zindabad (Live Long Peace) in his melodious voice and got lot of applause from the participants of the rally as well as shopkeepers and by standards. One interesting aspect of the rally which can also be seen in the pictures is active participation of women. Mr. Hameed channa, Miss Nusrat miano, Zeeshan laghari, Taj baloch, Wajid laghari and others addressed the rally. Afterwards, the rally turned to the press club where participants chanted loud slogans, “BUNIAD PARSTI MURDABAD, AMUN ZINDABAD “ (Peace-Live Long- Death to extremism).At the press, Coalition organized the cultural show where Abdul Qadir Mithu and other folk artists showed a great performance and spread the message of peace and harmony. Followed by the cultural dance by Suljhial Sartian Sath one of the organizations in the collation, led by a women activist, to relay the message of peace. One should not forget the Sindh is a province of Pakistan where massive floods in 2010 destroyed infrastructure, crops, caused death and displacement but have not shaken people’s will and determination, who still celebrate peace and harmony day and live with hope for the best. This and other such kind of celebration by the people of Pakistan and Sindh have lot to tell both the world and international community that Pakistanis are peace lovers, not extremists. Message targets all communities and promote human rights, democracy and patriotism. This party is led by Mr. Ganesan, a fomrer MP, who has been a member of parliament for the past ten years. 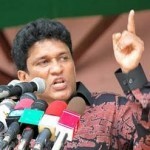 Manu Ganeshan is also the Convener of the Civil Monitoring Commission (Human Rights Organisation), President of the Democratic Workers’ Congress (trade union), and past Secretary of the Parliamentarians for Human Rights of the Parliament of Sri Lanka. His work earned him ‘Freedom Defender’ Runner-Up Award by the US Secretary of State, Dr Condoleezza Rice, in 2008. The vision of the Democratic People’s Front is the peaceful co-existence of all ethnic groups under just and equal socio-political conditions in Sri Lanka. The mission of the DPF primly encompasses the right to life, right to the rights enshrined in the constitution and right of the society to aspire and achieve new rights through democratic process. 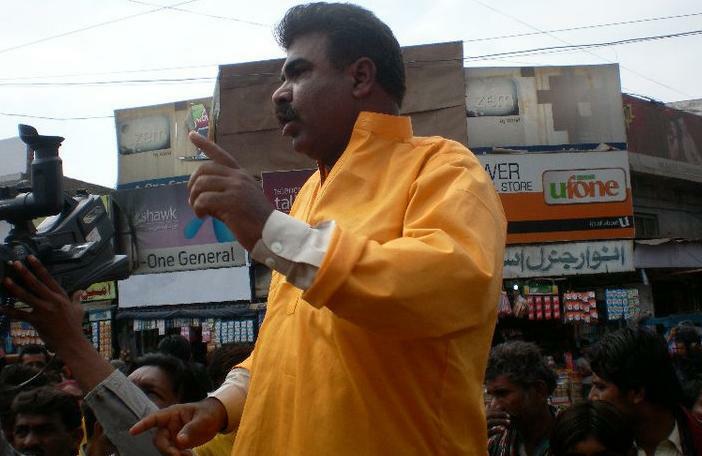 The Democratic People’s Front while performing itself as a democratic defender of the Tamil speaking people, is constantly involved in advocating policy changes by educating the minorities on their democratic political rights. On the other hand DPF is involved in taking the messages of the just causes of the Tamil speaking people to the Sinhala brethren of the south. These initiatives are implemented through public seminars, pocket meetings and the media. The DPF also conducts special political seminars for its members and general public. DPF is constantly supporting the concept of accountability by seeking answers to the anguish and woes of the voiceless people caught in the middle of the 30 year old armed conflict. On other hand DPF encourages the Tamil speaking people to come out of the past and to march forward seeking answers in the new multi ethnic Srilankan dream. The above proposals are relevant at the moment in this post war era too since part of the mission is incomplete today. We are resolved to complete the mission by addressing the issues of the detainees and disappeared. Parts of the large numbers of Tamils who went missing due to the enforced disappearances have been traced in the remand prisons and detention centers. Some nearing fifteen years, languish in jails around the country awaiting their investigations completed, charge sheeted and indicted, cases heard, and either pardoned or released on legal bail. This is in addition to the large numbers of the men and women detained in the rehabilitation centers. Those family members of the disappeared and detained are waiting either for their loved ones to return home or be declared dead, if applicable. The State has not yet been able to establish a functional system to address the cases of disappearances and detainees even though the law is in place.These are the most sensitive human rights issues facing the Tamil speaking people of Sri Lanka today. It is only after their issues of the human rights are addressed that the discussions on power sharing will have credence among the people.The Democratic People’s Front is in the process of raising funds to assist the many Tamil speaking men and women who are languishing in jail, awaiting indictment or trial. The DPF through a team of lawyers will file Habeas Corpus writs and also work with the Attorney General’s Department, Prisons Department and the Police Department to expedite as many of these cases as possible. The DPF will also work with the Registrar General’s Department, Police Department and District Secretaries (Government Agents) in developing the case files for final determination by the Registrar General to the issuance of death certificates, if applicable.The support and development of the Tamil speaking minorities are the responsibilities of not just the State or the international donor community. We as Sri Lankan nationals and also you as members of the Diaspora need to commit towards the actual reconciliation between our societies by addressing the woes. We need your help to achieve a society that looks beyond ethnicities and religions, and a country that is home to each and every one of us. That road is a long and hard one, but the journey is made easier when all of us work together with cooperation and commitment. 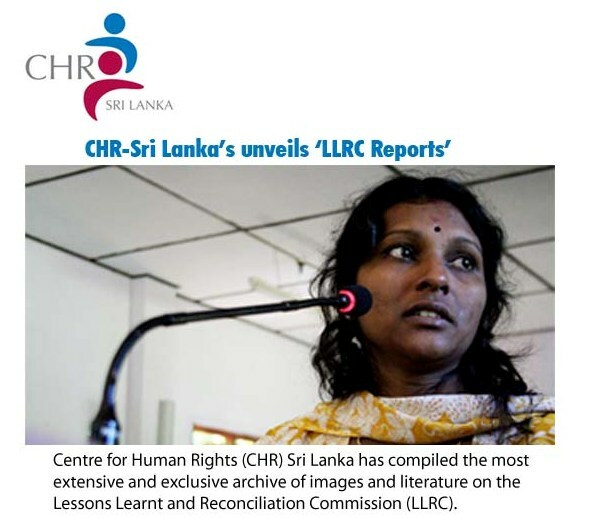 Center for Human Rights -Sri Lanka has released it report on the Lesson Learnt and Reconciliation Commission (LLRC) just few days ago. The Lesson’s Learnt and Reconciliation commission (LLRC) was created under the jurisdiction of the H.E. the President Mahinda Rajapakasa, on May 2010, under the statutory powers vested with the president. 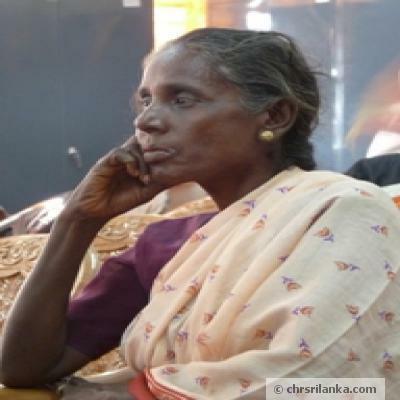 This and many other reported done by the Center can be accessed at http://www.chrsrilanka.com/LLRC_Report-3-2.html. Center for Human Rights-Sri Lanka one of the Colombo based human rights organization which is consistently monitoring the out-station sessions of the LLRC. The mandate of LLRC is to conduct independent and impartial inquiries on into the issues took place between 2002 and May 2009. This period covers full operation of the Ceasefire Agreement (CFA) and the period war which is called “humanitarian operation” by the Sri lankan government. The mandate of the commission is to record people’s concerns, lessons and evidences and recomend measures to ensure that there will not be recurrence of such situation. The mandate of the LLRC was to expire on November 15. It will now be able to continue hearings and submit its reports until May 16, 2011. Sixth month increase in the period of LLRC’s mandate has been done because large number of persons from Sri Lanka and abroad still to give evidence before it. LLRC official have been claiming that the Commission’s conduct are independent and impartial and its aim is to address past issues and promote national unity and reconciliation among all communities of Sri Lanka. On the contrary, international community doubts LLRC conduct. Three International INGOs: Amnesty International (AI), Human Rights Watch and International Crises Group refused to appear before the commission and issued a joinet letter saying, “there was little to be achieved by appearing before such a fundamentally flawed commission.” LLRC in response to their statement stated that the Commission will defend its impartiallity and independence. Question arises how the Lesson Learnt and Reconciliation Commission will conduct its hearings and come up with independent report and recomendations in a environment when anti-terrorism laws and emergency regulations known as anti-human rights laws still exist in the country. These laws grant extra-ordinary and arbitrary powers to the military and police and continue to be used to target opposition and critics of the government policies. No need to go far, a week ago RightsNow-Pakistan reported in these pages, brutal attack on political opposition in which two media men were also assaulted by an armed group allegedly supported by the Government. Valentines day, a day lovers devote to their beloveds. People celebrate this day to show love and affection. This day is celebrated with all the glow and glee all across the world from New York to Colombo. I had chat with different experienced lovers who told me different reasons for the celebration of V-Day. According to them, V-day celebration cements relationship, shows how much you care about your love, partner. However, my personal view is that this day also exposes weak relationships. 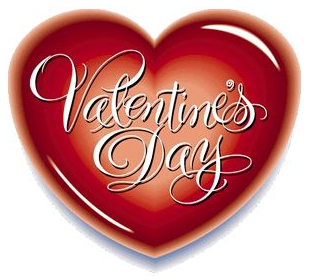 Valentine’s day is falling on Monday, February 14, 2011. In order to know how different people are going to celebrate this day. I interviewed people from different walk of life and asked them following questions. Finally, few best practices are also added here for the guidance of people who would like to celebrate V-day. Don’t be late for dinner or nay other V-day celebration. It is time to put your partner firt and avoid being late at all costs. Use your GPS or other resources for navigation to avoid getting lost. Gift-depends what you partner likes-can be choclates, jewellery, flowers, personalised cards or a simple romantic expression of love by hug or kiss. Take your partner to a place where you don’t go usually go. Question: How are you going to celebrate your valentine’s day ? Any message for the day? Question 2.How should/would you celebrate your valentine day if you are single?Any message for 14th Feb? Question. How would you celebrate your valentine day if you are far from your partner? Any message for the day? 2. What is single? Hmm…I can’t actually picture not having at least a casual date on Valentine’s day. But if I Was single, I imagine that I would host a party for all my single friends. 3. There’s an old song with the refrain “when I’m not near the girl I love, I love the girl I’m near”. That can easily be adapted to suit a lady singing about a man of course. Of course, I would never do such a thing! Hmmm, Option number 1, I would find a way to be with my partner. Option 2 is have dinner via skype. You set everything up like you’re going to have dinner with the person but do it virtually. Cultural anthropology has shown that eating together is very very important to forming any sort of relationship with another human being. In fact, if two people don’t eat together, they won’t actually be able to have any sort of meaningful bond. It’s been evolutionarily determined to be so. To see how writers celebrate their V-day- We called RightsNOW Pakistan’s Board member and former KTN news caster. 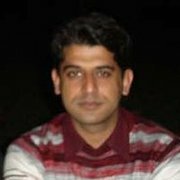 Sikander Balouch is based in US and work as a journalist. We asked him what he is doing on V-day in Houston. Mr. Balouch said, ” Valentine Day is a good opportunity to show love and work on relationship.”He further said, valentine day to me is not only day for exchange gifts and giving choclate to beloved but showing long term commitment to your love. Moline Yin from a Cambodian national based in Switzerland shared that this valentine she has no valentine but does not mean she will not celebrate lovers day. She will celebrate with same zeal and enthusiasm with her friends. Raja from Canada shared that V-day is not only for those who have someone but its day for all regardless of status. When I did not have one to show my love I still show my love to my friends. No matter if someone did not pick me as his/her love. He said his experienced has taught him that those who are scrambling to find someone by 14 February, should relax. 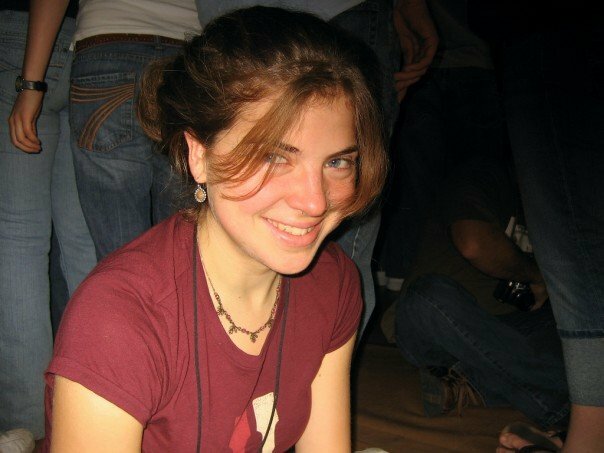 Becca Nelson highlighted a very emotional aspect of Valentine day by sharing her views. Danny Ahmed Karim and his wife Pratty Ahmed Karim’s views- I use Valentine Day as opportunity to express my care and love to not only for my partner but also parents and kids says Danny Ahmed Karim who is running a boutique in Pukhet, beautiful beach area of Thailand. 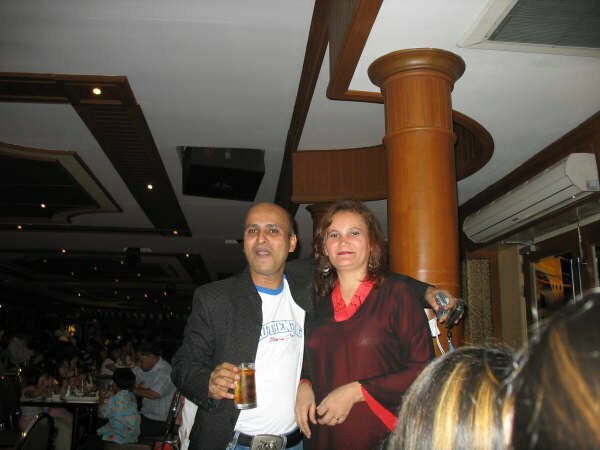 His wife Pratty Karim who shoulders her husband’s responsibility in running boutique called Valentine’s day ‘a family day’. Masooma Amiri from Afghanistan shared that Valentine’s Day is a day to express the feelings. An opportunity to express love for the beloved and spend a time together and further strengthen the relationship. Giving gifts to beloved, expressing love for partner is a best way to make the Valentine Day a memorable day. The Valentine Day is on February 14 every year and is celebrated in several countries across the world such as Afghanistan; people are celebrating this day recently. 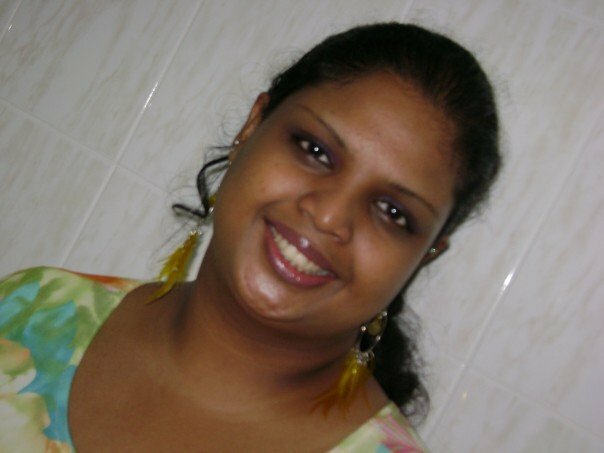 Suli from Sri Lanka said- “In my opinion love is something very special that should be celebrated everyday but then again with our busy lives it seems hardly possible.. so let’s try to at least give some meaning to it on a Valentines Day. A boy being the perfect gentleman and sending me roses, chocolates with a sweet message at the beginning of the day will be quite romantic on V Day.. Some people think it’s too cliché to go through all that but I think it’s sweet and very nice of a person to go through all that just to show that he cares. A candle lit intimate dinner and a quiet walk on the beach will be a memory that a girl will cherish a lifetime.. What can I say.. I’m a born romantic and I love the old fashion silly ways of love.. Since I’m single this valentines I will go on a date with someone in the night and will enjoy my V Day.. Just because I haven’t found my soul mate as yet doesn’t mean I have to be miserable at home and envy other people.. Love comes and it might go away but if you give love another chance, love just might come back again to stay..
Live, love and laugh till your tummy hurts… Because that’s what makes life beautiful.. The real treasures in life are little pleasures that cannot be brought for money. So follow the rhythm and the song of your heart.. Happy Valentines to everyone.May God’s blessings and Love always be with you’ll. 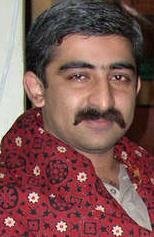 Mir Baloch said he celebrates Valentines’ day very simply but seriously. He responded in a great persons’ words saying, “The supreme happiness of life is the conviction that we are loved. 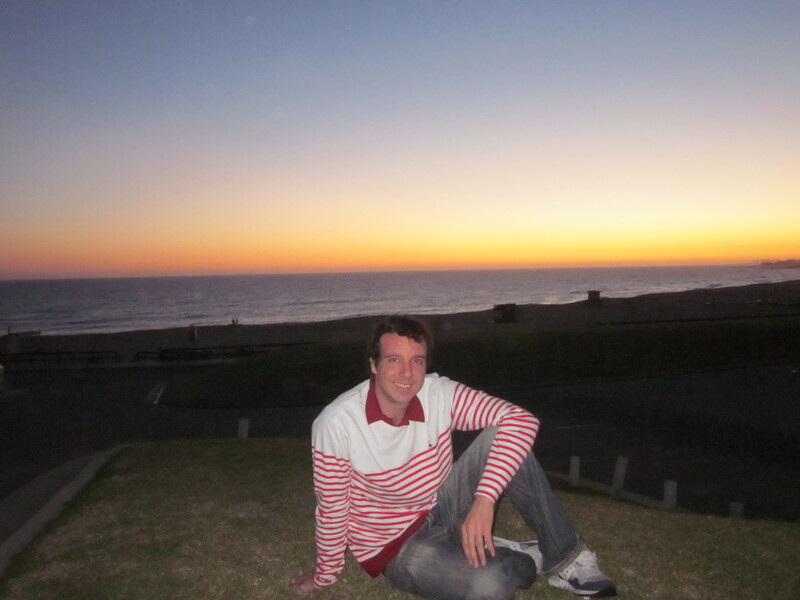 Through this forum I would like to say happy valentines to all. I will celebrate my V-day with my loved ones. Simply and quietly. I feel that every day should be a love day. Best wishes to you all said Julie wong from Kaula Lumpur Malaysia. When we approached Mr. Gonzalo, an argentinian LL.M student at Boston College Law School and asked what he thinks about V-Day. Instead of response, Gonzalo raised the question that, “Why I have to read that declarations like “They have 37 million more men than women in China–these poor men will never have a date for valentines day”. Do you really know how many women and men are on earth? Do the rest of the male population in China already have a partner? Do they have the chance to date girls from other parts of the world? How many of them will be dead before the age of 30? I don’t like statistics and I don’t like general assumptions! In matter of love, they are useless, totally useless. V day is an awful day for those who are single. Sometimes, an awful reminder of loneliness to singles. My girlfriend died in a car crash a time ago, so what the hell I’m gong to do in a day like this? To think how miserable I’m now? To wait for a miraculous call from a girl freind that I have never received? Someone give me a break!! This is why I hate V- day. Besides, when you want a girl she doesn’t love you, and when she loves you, you don’t want her. So, my question is: in a world where people are afraid of people, what was left for romantic people, lonely romantic people? Please, could you please someone give me an honest and clever answer? Thank you! 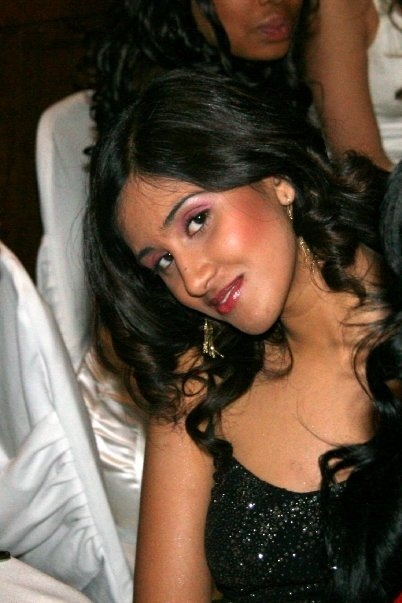 Saima Fazlani has her own view about how to celebrate love. She partially shares the Julie Wong’s thought about love and express the idea of not to limit love to a single day but celebrate it every moment and every day.